After his last film Aarakshan bombed at the box office, Prakash Jha is back. Prakash Jha’s next film which revolves around the naxalites with a political context is titled Chakravyuh. Chakravyuh is a political thriller a starring Abhay Deol,Arjun Rampal, Manoj Bajpai, Kabir Bedi, Anjali Patil and Esha Gupta. Arjun Rampal and Abhay Deol play the role of police offers int he film, who have taken it upon them to destroy the Naxal movement. 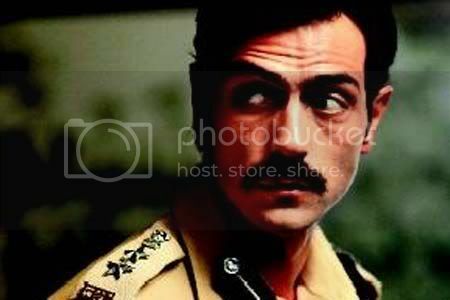 For the role of a police offer, Arjun Rampal has sported a moustache, so as to give the look of a strict cop. We bring to you the first look of Arjun Rampal’s look from Chakravyuh. Chakravyuh is set to release on 26th October 2012. The music for this film is composed by Salim-Sulaiman. Share First Look – Arjun Rampal In Chakravyuh with your friends on Facebook.